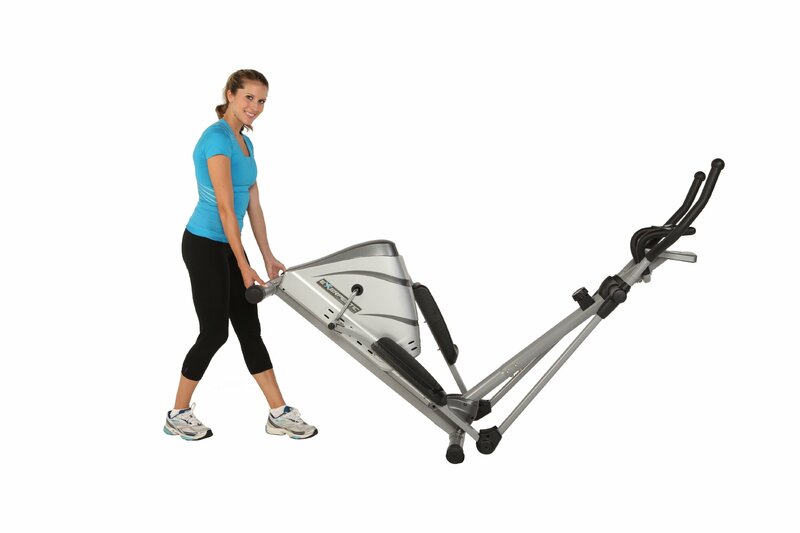 The Exerpeutic 1000Xl is designed with the comfort of the user in mind. Because of this, the company has included features that result in a “zero impact” workout. What this means is that there is virtually no stress on the hips and joints. 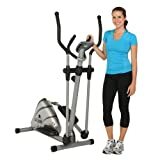 This is different from many other exercise machines which help you train at the expense of putting a great deal of pressure on your precious body. This elliptical helps counteract the stress that is often put on these body parts by ensuring the body avoids such stresses during workout time. Because of its intuitive design, the elliptical features a full body workout by working both the upper and lower body. The machine boasts many resistance settings. The elliptical has a knob that can adjust the resistance of the machine with nothing more than the turn of a hand. Though the knob technology is not as advanced as some of the upper echelon ellipticals, it gets the job done. Unlike many of its more expensive counterparts, this model doesn’t take up much space as is easy to move. Though stable, the minimalist design can be easily set up in any room of the house. For further convenience, the machine is a breeze to move thanks to the included wheel transport set. The wheels mean that a single person can effortlessly relocate the elliptical. One truly wonderful feature of the Exerpeutic 1000Xl comes with pulse pads that allow the user to careful track his or her heart rate. The pads are located on the moving bars. This is to ensure that bars move while the user is exercising. The moving bars branch from stationary bars that run across the machine. This means that if users need to rest their arms while exercising, they can do so without disturbing the readings of the pulse rate monitor. The information from the pulse pads can be read on the LCD console that is located conveniently just below eye level at the front of the bike so you can keep track of your progress while working hard. The console also displays the time you have been working out, the resistance speed you are training at, calories that you have burned, and an approximation of the distance you have traveled. All of this information is vital for tracking your progress and a major step on the ability to improve your overall health. The machine is designed to withstand users that weigh up to 300 lbs. This affirms the stability and durability of the rather small machine. This is excellent news for those who want to invest in an elliptical to get back into shape. Many of these users are skeptical of purchasing overly expensive workout equipment. This makes this budget elliptical a great buy for those who are beginning to get on track physically. This high functioning design is enhanced by the extra large foot holders. They allow for a better, more even distribution of weight as well as the freedom to place feet comfortably on the device. Unfortunately, the 13″ stride length presents a bit of a problem for a handful of users. For some, this is too short and the elliptical loses some of its charm for taller users. Thus, the Exerpeutic 1000Xl is recommended for users that are under 6 feet tall. Another slight disappointment is that the elliptical is equipped with a very short warranty period. This may discourage buyers who are not completely sold on the device. We are truly impressed with the great features of this budget buy. At just about $200, we can’t believe all that the manufacturer has managed to jam in this little thing. We love that unlike many other budget ellipticals, this one has multiple resistance options. Although the technology employed may not be the hottest on the market, it gets the job done admirably. The stable and durable design is a huge plus, and we can’t seem to stress enough the bonus that it has the capability of supporting 300 lbs. This really expands its usability and makes it attractive to many users. The design is sleep and provides smooth usage. It boasts a small footprint and can be moved easily. The Exerpeutic 1000Xl has a good LCD console and the pulse pads that track heart rate are a great touch for those who like to keep a close eye on their fitness. This machine is a great buy for those on a slim budget.